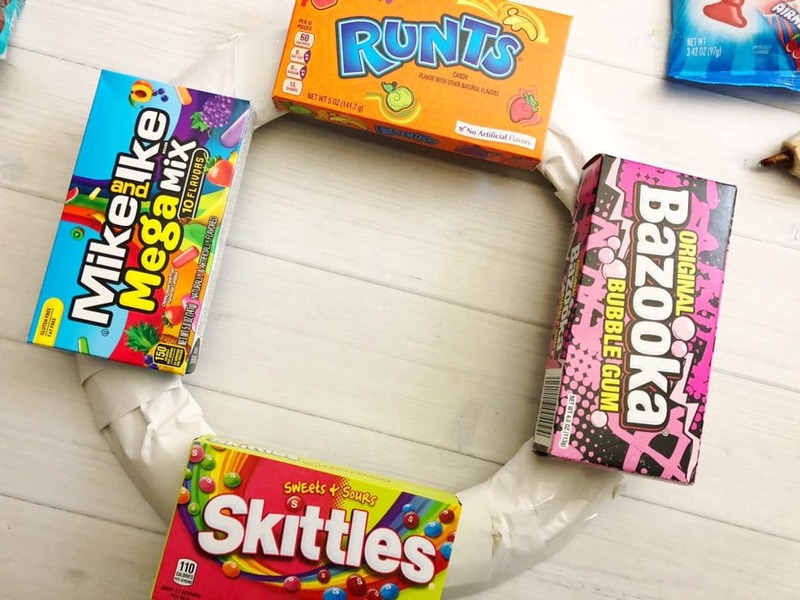 Here is a great, easy step by step How To Make A Candy Wreath. The best part of all, you are going to make it for less than $15. 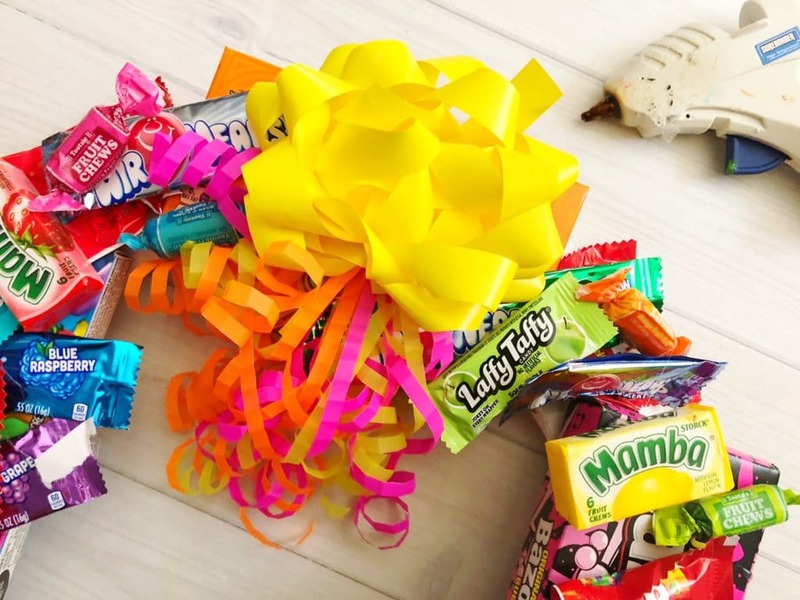 If you are really frugal you can make it for just a few dollars using leftover Halloween candy. Seeing the reaction on the recipients face when they receive this inexpensive thoughtful gift is absolutely priceless. It is worth every bit of effort of love when you make this adorable wreath. 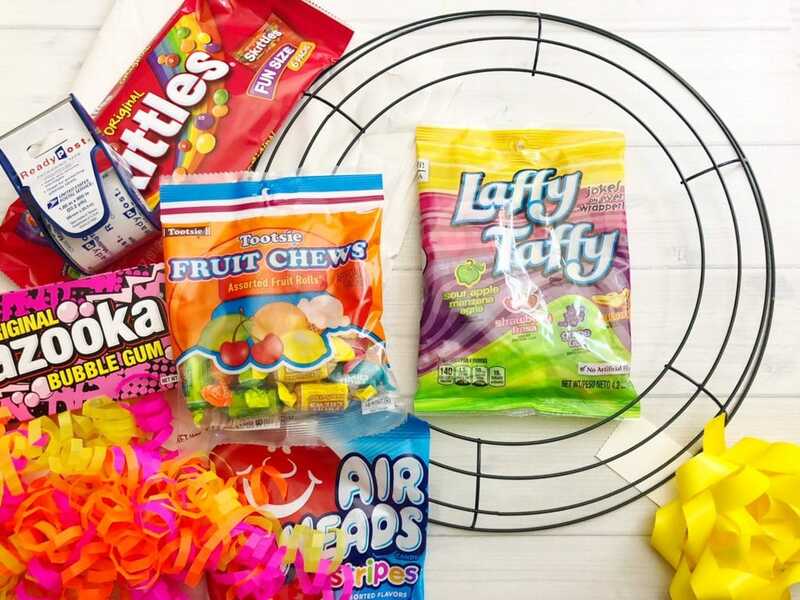 Miniature candy: Skittles, Mamba, Laffy Taffy, Airheads, Colored Tootsie Rolls, SweetTart Chews. 1. 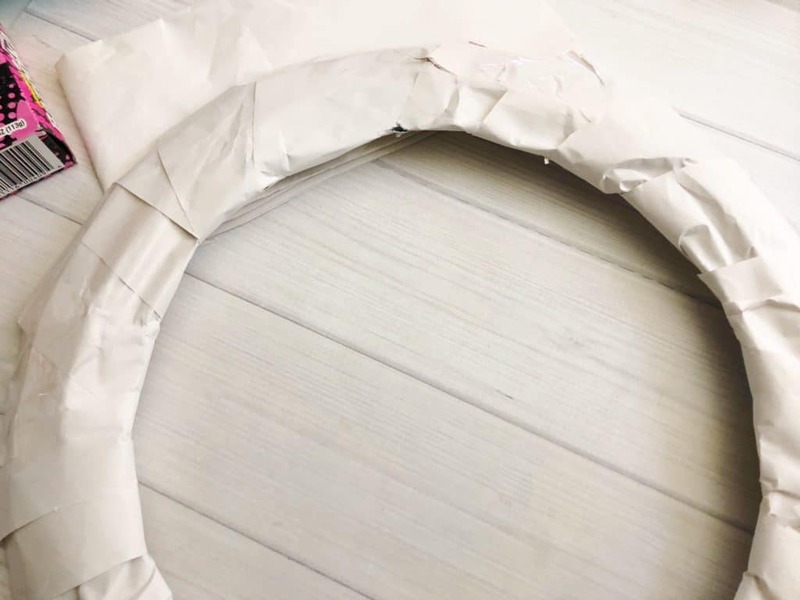 Cut your scrap paper into 3” wide strips and wrap and tape it over and around your metal wreath. 2. Carefully hot glue the boxes of candy on each side opposite each other. 3. 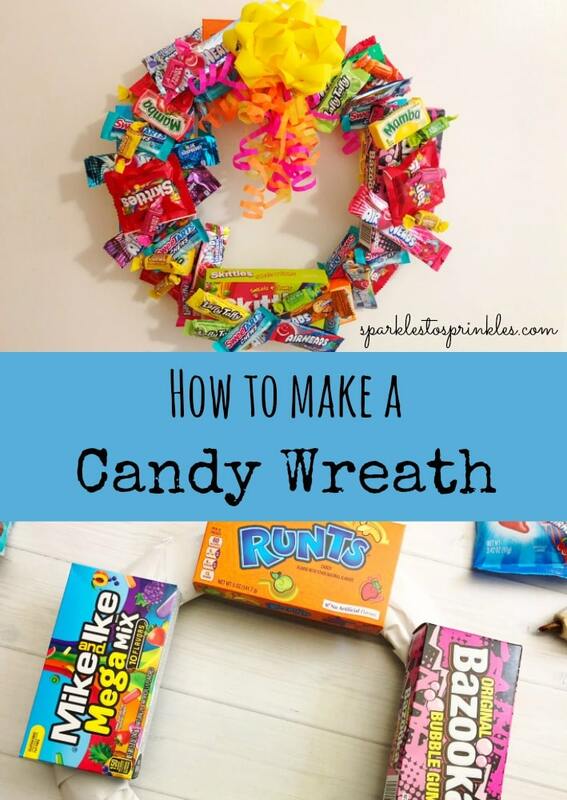 Begin filling In the empty spaces first with the larger miniature candies like bags of Skittles by carefully hot glueing them onto the scrap paper wreath. 4. Once you have all the empty spots filled. Start by layering the smaller candy on top of everything, changing direction of what way you glue the candies. 5. Once filled, glue a ribbon bow to the top and a regular bow over that. 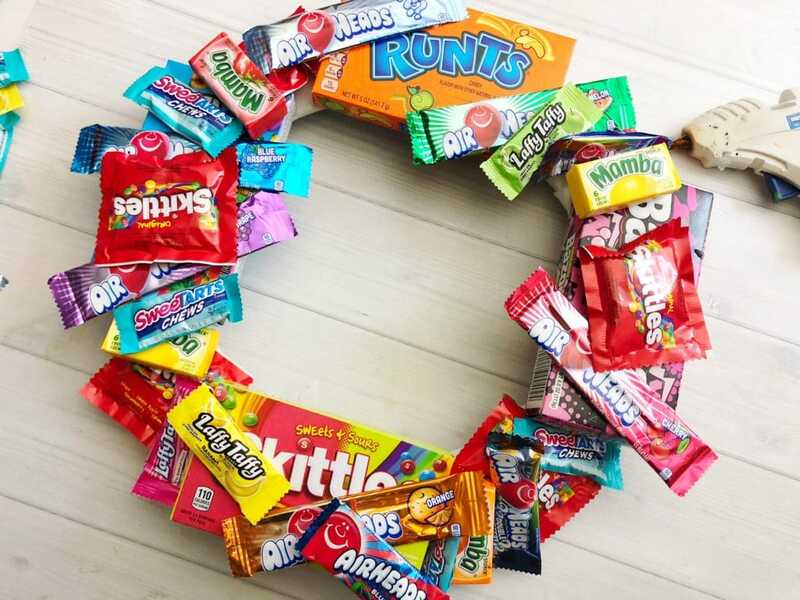 I would love to see your candy wreath when you have it done. Have a ton of fun making this.